The following post is by Samuel L. Bray (UCLA School of Law, soon decamping for Notre Dame) and is sponsored by West Academic. Last year I joined Emily Sherwin as an editor of a remedies casebook: Ames, Chafee, and Re on Remedies. We worked together on the second edition, which was published in December by Foundation Press. In this post, I want to sketch some of the ways this remedies book is distinctive and why you might or might not want to use it. A remedies teacher confronts three threshold questions, and how they are answered will determine the shape of the course. The first is about organization, the second is about equity, and the third is about restitution. On each of these our book takes a different approach than some other books. Second, a remedies teacher has to decide what to do with equity. Here is where the biggest difference lies between our book and a leading remedies casebook, Doug Laycock’s Modern American Remedies. Doug is the leading scholar of remedies, and his work reflects his brilliant scholarship in the book and article both named The Death of the Irreparable Injury Rule. He does not treat the irreparable injury rule, more conventionally the requirement of “no adequate remedy at law,” as an organizing principle, and his treatment of the law/equity distinction is skeptical. Our book takes a different tack. The distinction between law and equity is pervasive in American law. This is not true only in the jurisdictions that have separate courts or divisions for equity (Delaware, Tennessee, Mississippi, New Jersey, and Cook County, Illinois). Rather it is true in case after case in state and federal courts—including recent U.S. Supreme Court decisions such as Petrella and SCA Hygiene, that held that laches is an equitable defense that applies only to equitable claims, not to legal ones. In our view, to prepare students to litigate in a world where the law/equity distinction still has currency, remedies should be taught without embarrassment about the law/equity distinction, and its functional value should be explained, not just questioned. Many other points could be made about our book. It is light on notes—it is not replacement for a remedies treatise such as Dobbs and Roberts. Private law tends to predominate, rather than public law. (There is, however, a new chapter in this edition on remedies against the government—including discussion of qualified immunity and structural injunctions.) 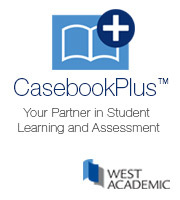 Our casebook tends to have more state cases than federal cases. Many points are taught with two cases, one from contract and one from tort, which allows students to better understand a principle as they see it applied in more than one context. One final note should be stressed. The remedies we have in American law were never developed according to some kind of master plan. On the first day of remedies class I contrast a city like Washington, DC, which was developed according to such a plan, and a city like Boston, where cowpaths turned into cartroads which turned into streets. Remedies is like Boston. It is therefore unusually important in the field of remedies to understand the historical background, since it is not just background—the path dependence is strong. That is why each of the major divisions of our book begins with a discussion of history. That sets our remedies book apart from other casebooks. As with each of the points discussed in this post, it will work well for some remedies teachers and courses and not for others. De gustibus.